Christoph thank you so much for having me on your blog. And I’m obsessed with my work so I was thrilled when you invited me to join you. Since it’s close to Halloween, one of my favorite holidays, and I get to talk about my latest release, a Kindle World Novella, Magic and Mayhem: Have Wand, Will Travel that’s an extra bonus. I was a closet writer for years and penned nine of the worst romances ever written before I started really learning my craft. They’re still in a closet at my house. Thank goodness I never submitted any of them. I taught art at a primary school for 21 years and was an adjunct college instructor for 10 years for Eastern Kentucky University. But I never stopped writing. And now that I’m retired I get to do what I love best. Write! 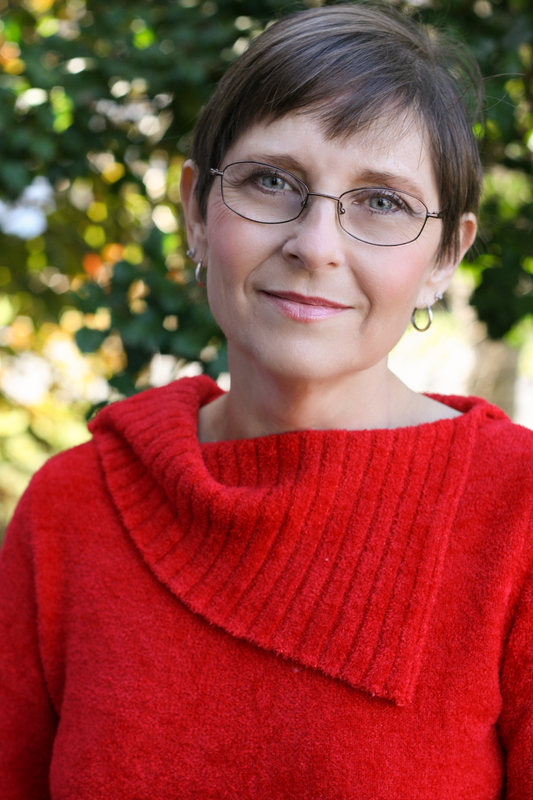 I’m a New York Times and USA Today Best-selling author. I write a little of everything. Paranormal Romance/ Urban Fantasy, Military Romance, Historical Romance, Contemporary Romance, and all of my books have suspense in them. In Have Wand, Will Travel my main character is Zaira O’Shea. She’s both a witch and a Private Investigator. She has a reputation for always getting her man, artifact, or magical device. She’s owner of the Have Wand, Will Travel Detective Agency. The other detectives in her agency are different preternatural beings. She has a fairy, a pixie, a vampire, and herself. But I’m not ruling out other types of beings becoming investigators for her firm. I think she may need a WEREcreature of some kind to investigate Were issues. I know all my books are character driven and the plot twists come about to disrupt their lives and force them to deal with issues and grow as people or beings in the case of my latest release. To have your characters connect with the reader is the most important thing. So if you can write characters your readers can care about, they’ll be interested in what happens to them no matter if they grow fangs (my hero is a vampire) and bite or can teleport from one place to another like Zaira my witch. Is there such a thing as cozy in murder mystery? Yes, I believe there is. I used to watch Murder She Wrote faithfully. I considered the series a cozy series and someone was murdered every week. The entire nature of a mystery plot is to solve the reason behind a crime while someone else is attempting to prevent you from doing so. I think to be a cozy you must keep the violence off screen as much as possible and control how intense the conflict between characters becomes. I was able to keep the magical violence to a minimum in Have Wand, Will Travel because of the comedic nature of the story line. So I think it would be considered a cozy. Always. Even in my more serious stories like my SEAL Team Heartbreakers Series, I use humour to lighten things when my characters and readers need a break from the more serious elements in the books. No one is serious a hundred percent of the time any more than they’re funny. I was able to stretch my comedic writing muscles in Have Wand, Will Travel and write funny because of the nature of the series it was meant for. I’m working on another SEAL Team Heartbreaker book titled Breaking Point. I believe it will be a shorter book than my last. Possibly 45,000 words. And I’m working on the second book in my Paranormal Romance Series, the Superstition Series titled Deep Within The Stone. And I’ve been asked to write another novella for the Magic and Mayhem Kindle World!! Which was very exciting. All these projects will be released next year. There are too many books to list. I’m an avid reader. But since we’re talking about mystery, my favorite writers for suspense are: Michael Connelly, Nelson DeMille, Sandra Brown, Lisa Unger, and Nora Roberts. I particularly like Nora’s J.D. Robb In Death Series. I’m an artist as well as a writer. So when I’m not writing, I’m usually doing something creative. I make all my own greeting cards, paint, draw, and quill (which is rolled paper filigree). I’m told it’s a dying art, but I’ve been doing it since I was ten. I love to do multimedia art projects on canvas with paint, paper, fabric, found objects and quilling. A soul-sucking wand, a witch, a vampire and a hellhound. ‘Nuff said. Private detective and gifted witch Zaira O’Shea has built her reputation on her ability to always find her relic, magical device, or man. When the Witches’ Council hires her to find and return a stolen wand, she can’t refuse, and she’s eager to recover the device. Until the clues lead her to a vampire with fallen-angel good looks, and talents that don’t require a bite to lead her into temptation. History professor and vampire Christophe Bakas has brushed off his cat burglar skills to steal a powerful wand for the Vampire Council, but only because they are holding his uncle hostage. When he meets Zaira, he hopes he’s found someone who’ll help with the rescue. But from their first teleportation he’s hooked on more than her flying skills. The more they learn about the wand, the more Chris and Zaira believe neither council can be trusted with the dangerous device. With both councils closing in, they’re forced to go on the run. Only the vacationing Baba Yaga can make sure the wand isn’t used to destroy the careful balance between witch and vampire kind. If they can find her. Assjacket, West Virginia here they come. 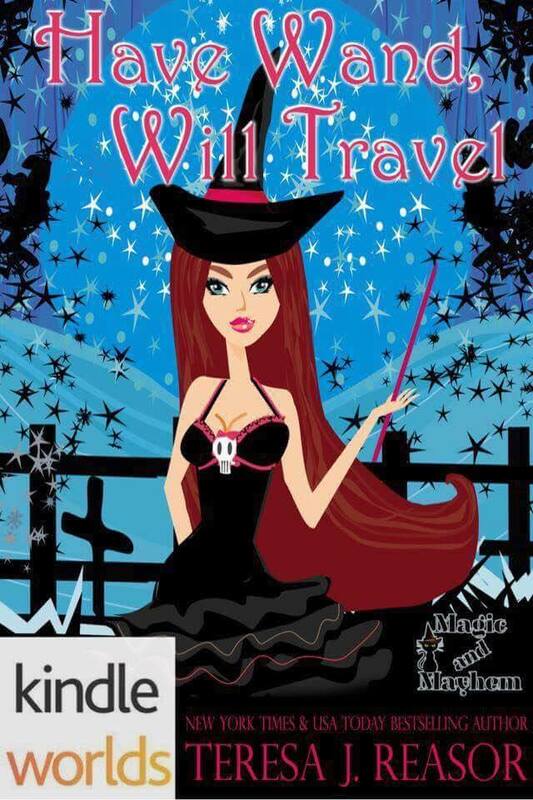 Because it is a Kindle World novella Magic and Mayhem: Have Wand, Will Travel is only available at Amazon in the US. Amazon is trying to get the books released world-wide. Hopefully it will happen soon. But I have something for everyone. The book sounds delightful. Love the title. Good luck to Teresa. Happy Halloween hugs! Thanks Teagan. Happy Halloween to you, too, and mega Hugs! Happy Halloween to both of you. And thanks for swinging by to leave a comment. Christoph: Thank you so much for having me on here. I loved doing the interview.